Yes, you can add your own CSS to be included in the signup form. 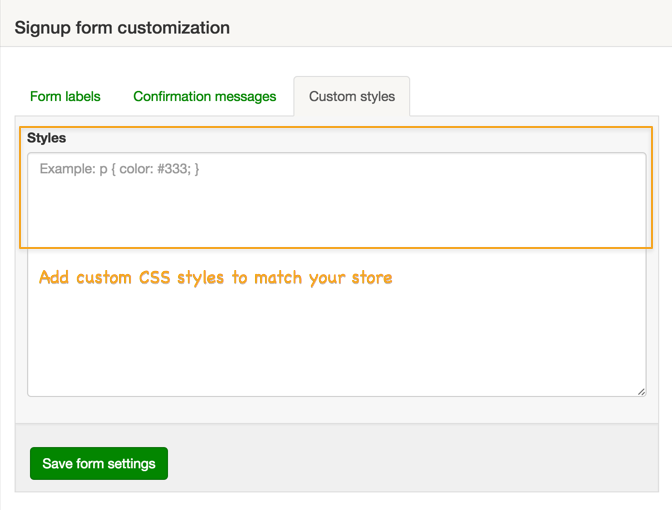 Visit Customize, Signup form, and choose the Custom Styles tab. Add your styles to the Styles field and then hit Save.